Manual before installing or using your new unit. standards. 21 CFR Subchapter J. 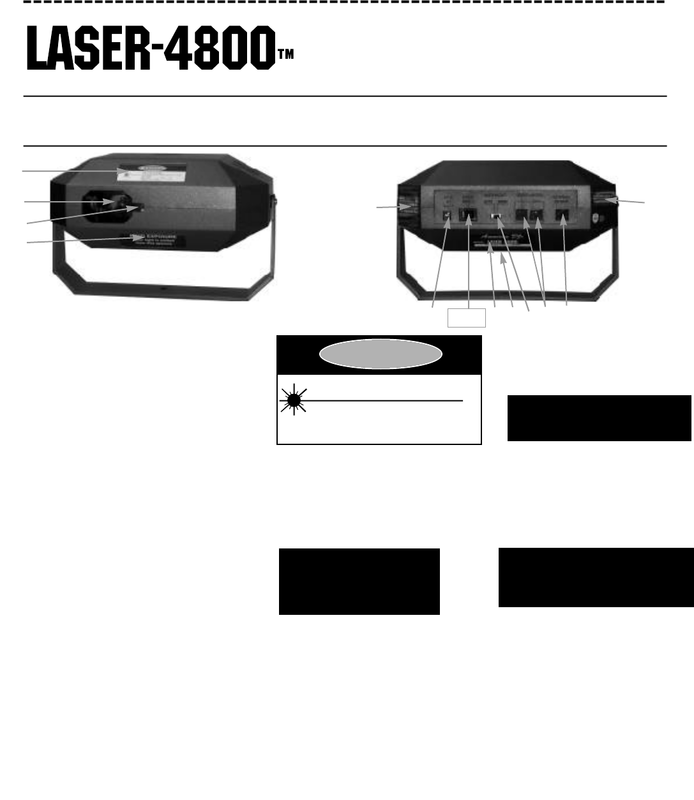 This Laser product complies with the CDRH/BRH Radiation Performance Standards. 21 CFR Subchapter J.
expose this product to a high temperature or high humidity area. American DJ is a well-known brand selling various stuff including computer equipment. Manuals.World collected 86 verified user guides related to this manufacturer . Now you're reading a user guide for American DJ DJ Equipment 4800.